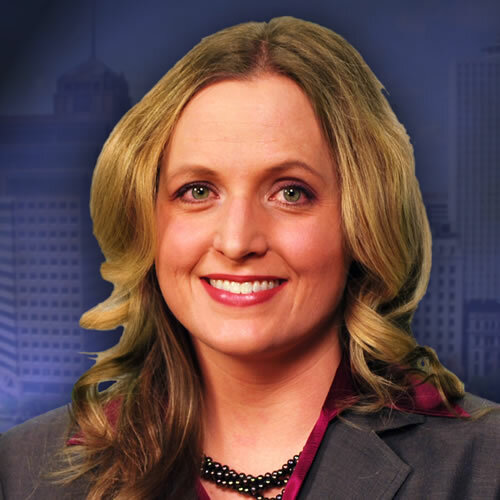 Kathy Morris is a multi-award-winning sports anchor/reporter who joined the WPTY (ABC24/CW30) Sports staff in August 2007 from WICD-TV in Champaign, Illinois. Working in Champaign-Urbana not only returned her to the home of her alma mater, the University of Illinois, but also brought her back to east-central Illinois where most of her family members still live. Now at ABC 24/CW 30, she has been reunited with many former co-workers who all worked together at a Jonesboro, Arkansas television station years ago. Kathy’s interest in sports began in grade school. Her father, mother and two older brothers led the way when it came to athletics in the family. If she wasn’t playing baseball, softball, basketball, running or cheering, then she was probably watching football or another sport on television in the Morris family room. Kathy and her twin sister chose to focus on cross country and track and field in college. The two led the Fighting Illini distance squad their junior and senior years. Kathy’s love of sports journalism started developing in high school. Her cousin used to tease her, because she was always reading the sports section of local newspapers. An internship at WTHR-TV in Indianapolis is what prompted her to switch her major from Animal Sciences to Broadcast Journalism. Kathy’s work has been honored by the Associated Press and the Society of Professional Journalists. Kathy lived and worked in London after obtaining her degree, and backpacked around Europe before returning home. She is very excited to be back in the Mid-South! If you know an athlete who deserves some recognition, please e-mail her.